Along with Anutone, the architects designed Stretch NRC engineered systems so as to achieve 0.9 values and ensure optimized Reverberation Time (RT60) suitable for the spoken word during lectures. CPWD maintained a vigilant eye all through the supply and installation phase. 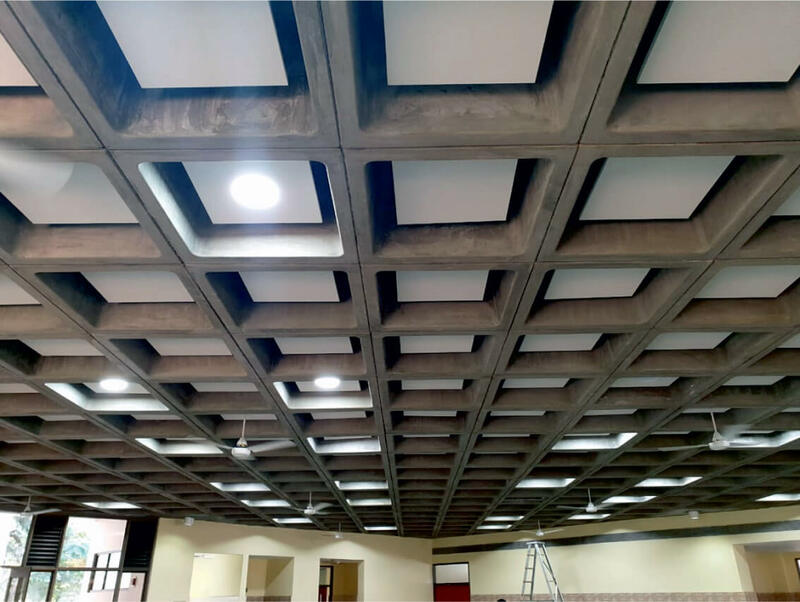 CPWD independently conducted a surprise test on Stretch NRC at NPL New Delhi (best in India for acoustics testing) replicating the site installation in the Reverb Lab. Everyone was pleased with the 0.9 result which was proven at site with echo-free interiors. Client is happy students can enjoy clarity in lectures. Talli Tumeric the Indian restaurant at the upscale Atria Mall in Worli was being built for the discerning customer who was well travelled, well heeled. The architect had a vision of providing sophisticated interiors but with acoustics built-in unobstrusively. For the ceiling the architects opted for Subtex KSL which has a unique microperforated microtextured vinyl surface finish, just perfect for a cafetaria environment and for the walls they opted for one of Anutone’s most successful products – Slats Surco. Subtex KSL panels sit cosy in the waffle slab and absorb most of the sound waves that strike incident to their surface whereas the Slats Surco provide gentle sound diffusion and absorption. A perfect hang out joint to while away time or to have quick, short conversations. A cultural landmark for Vidisha can only want to be the best to become an icon for millenials with passage of time. 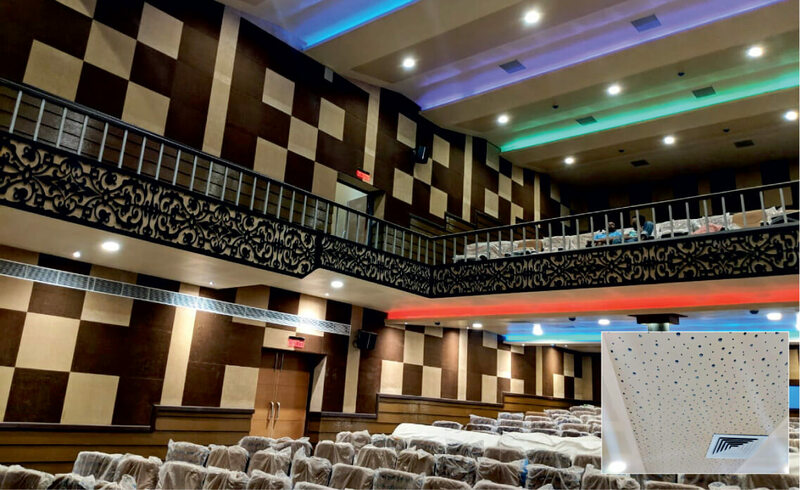 Architect Shailendra Sharma too wanted a definitive monument for the region with cutting edge solutions for sound, light, stage, seating and decor. The citizens of Vidisha can be proud of a landmark monument that will make history with scintillating performance and in no time become the cynosure of all eyes in the region.